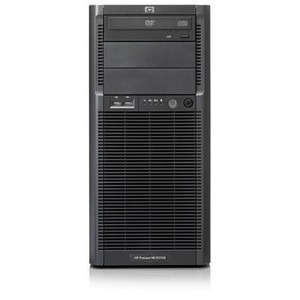 The HP ProLiant ML150 G6 is an entry, dual-processor server that is optimized for price performance. Companies with remote locations can take advantage of the now integrated Lights-Out 100 remote management capability to decrease server/company downtime and increase overall productivity. Overall, the HP ProLiant ML150 G6 is easy on your IT budget with significant headroom to grow with your business. 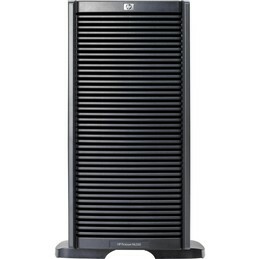 HP PROLIANT TOWER/5U X/2.4GHZ/4GB 3.5"
The HP ProLiant ML350 G6 is the best price performance DP Tower server that delivers excellence with performance, expandability and availability. It's a server with more memory capacity and more HDD expandability. It combines the Intel Xeon processors with QPI technology, best-in-class availability features, and unsurpassed flexibility in a system ideal for growing businesses and especially well suited to meet the needs of remote branch offices.